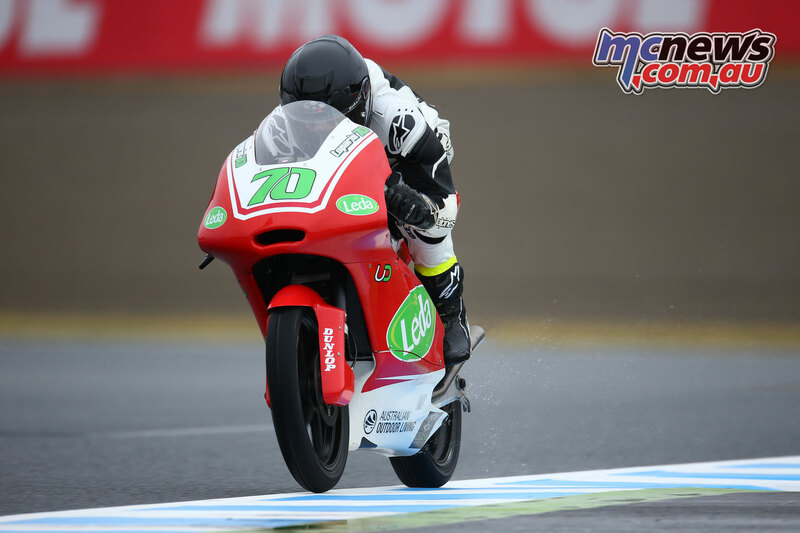 Tom Toparis’s debut on the MotoGP world stage, in the Moto3 category in Motegi, Japan, has proven an incredibly tough initiation, as the 17-year-old Australian has been forced to contend with not only the world class competition, but also a wet track in qualifying. 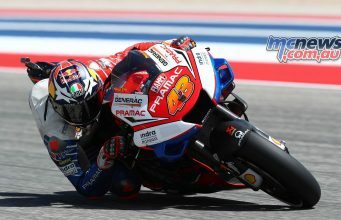 He described the challenge for himself and the Cube Racing team of setting up the bike, with a crash in qualifying further testing his mettle, while ending qualifying in 31st position. 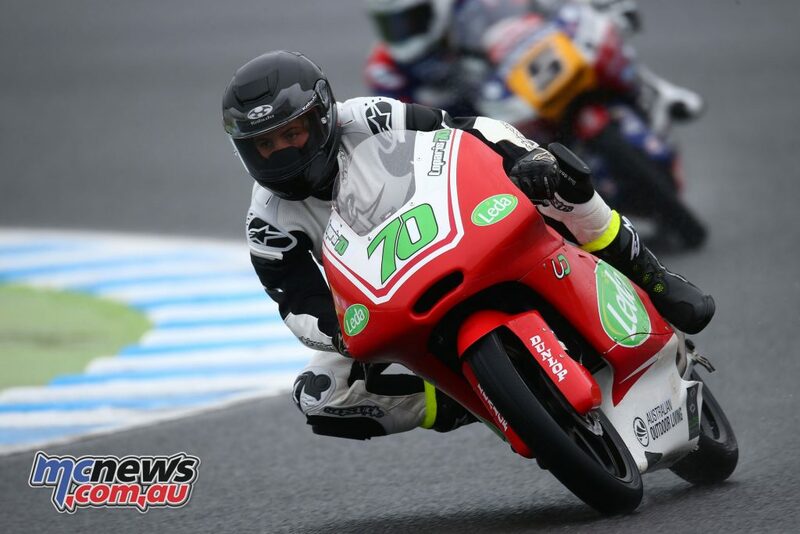 Toparis comes from competing the ASBK Championship, and following Motegi, will continue on to the next round of the MotoGP, the Australian Motorcycle Grand Prix, on October 20-22 October at Phillip Island. 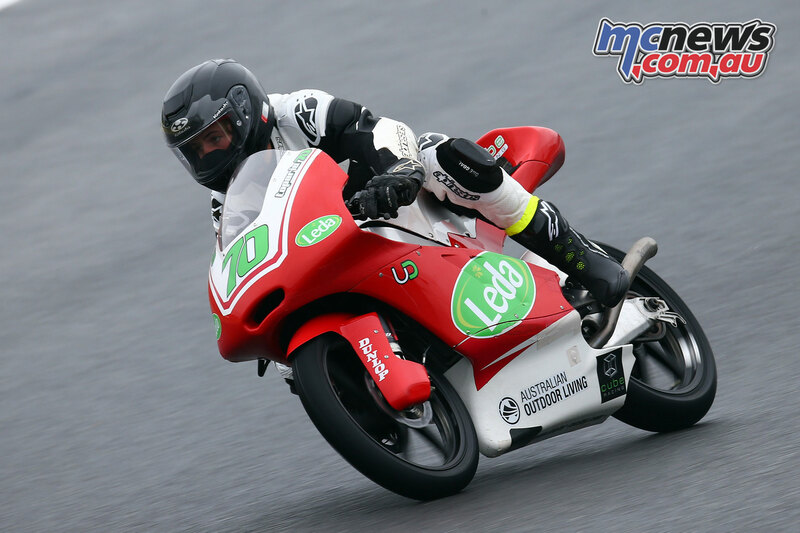 He shared on social media the challenges faced, but remains resolute heading into race day tomorrow, where he is hoping for better conditions to get a feel for the bike, and to further prove himself, before heading back to more familiar territory the following round. 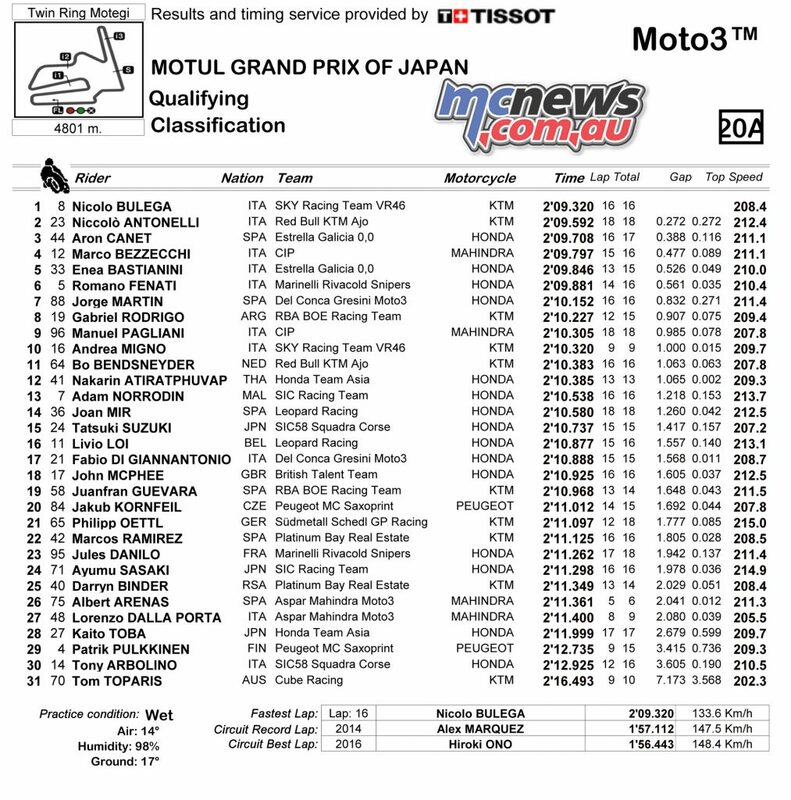 “The weather once again has played havoc here at the Motegi Circuit here the fifteenth round of the MotoGP, in both Free Practice three and qualifying. 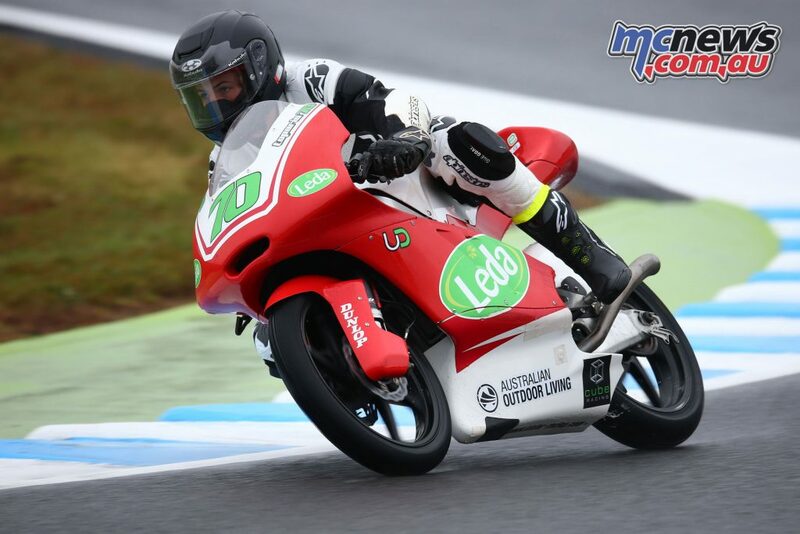 As I have said before, we, the Cube Racing team and I have never ridden a Moto3 in wet conditions and to say it bluntly, it’s so tough and the hardest thing I have done thus far on a motorcycle. 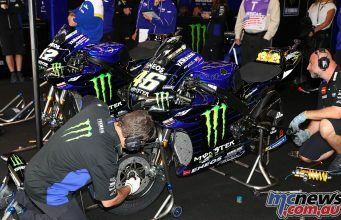 “We have qualified in thirty-first position with a time of 2m16.493s, which we set on lap nine of the session. We are gauging our time on the best riders in the world. There are so many factors which can make that better. 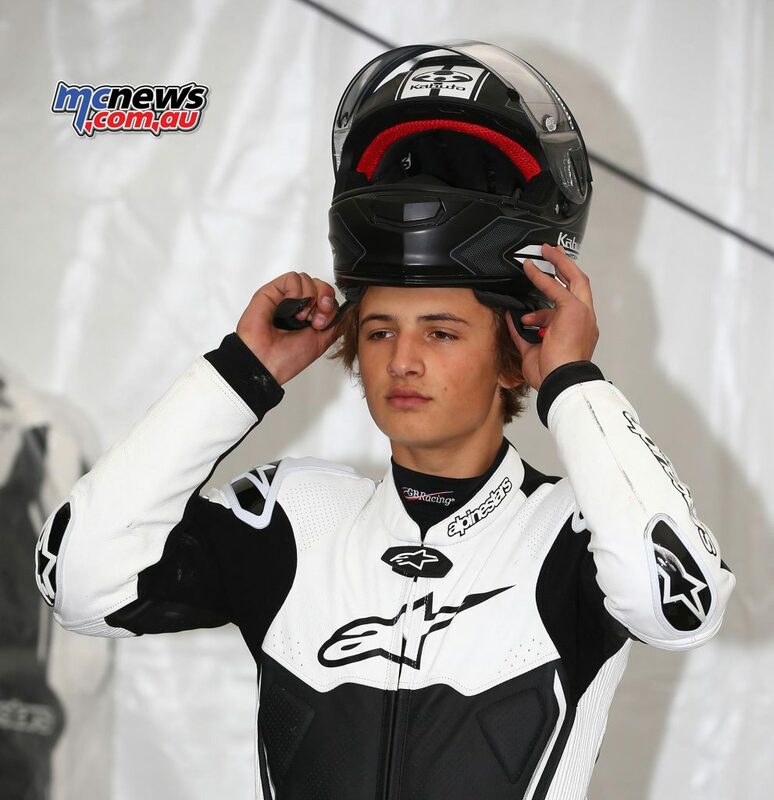 “At the moment unfortunately we are not really getting anywhere in terms of bike setup. I had a crash in qualifying at turn 5 and I had absolutely no warning what so ever before I crashed. I came into the corner no differently than the lap before and the rear end just stepped out on me mid corner. “I’m trying my hardest and trying not to crash, but unfortunately it’s not working for me that well at the moment. Anyway we are in the race for tomorrow, which is the main thing. 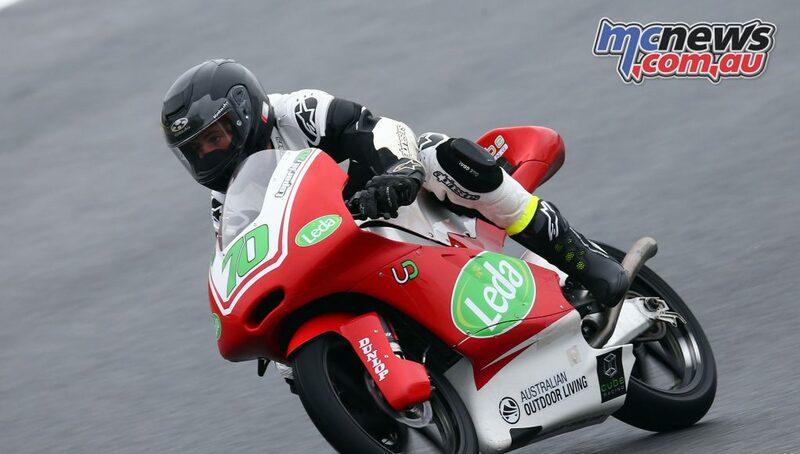 I just hope it will be dry weather, so we can learn with the bike, which will make the Australian Motorcycle Grand Prix a hell of a lot easier next weekend at the Phillip Island Grand Prix Circuit. “I don’t like our chances, as its forecasted rain, which is a shame. But we’ll tackle whatever is thrown our way! A massive thanks to the team and all of our sponsors. I do apologise to the team for the crashing, as its just added work for them later on.